After spending a couple weeks exploring the Garden Coast of South Africa and being completely surprised by what I was seeing (in a good way), I made my way inland towards one of South Africa’s lesser travelled parks, Addo Elephant National Park. Addo Elephant National Park, as one could assume from the name of the park, is famous for it’s elephants. Now, obviously, there are plenty of elephants in South Africa, but what makes these special is their colour. The elephants in Addo coat themselves in the red earth of the region to give them a beautiful colour of red rather than the typical grey. My luck, however, in finding elephants was quite bad. I saw a couple in a heavily forested area, but had to move on for safety reasons. I had better luck with other animals, however. I saw a caracal which was maybe my favourite sighting my whole time in South Africa. 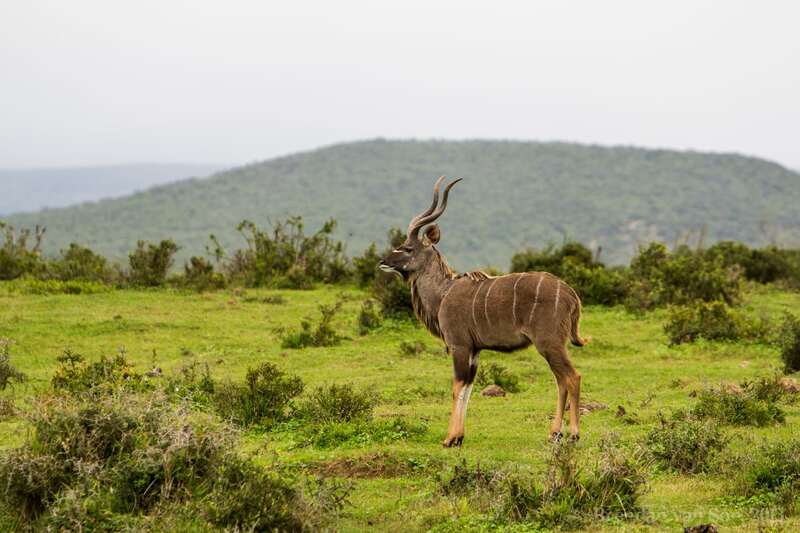 I also managed to see some more typical wildlife like Kudu, Zebra, and some warthogs. Following my self-drive safari in Addo Elephant National Park, I headed back down to the sea to the Wild Coast. In coming episodes, I continue to skirt down the Wild Coast, and explore more of South Africa. Really a drag to have to move every day with such nice accommodations. So jealous of the caracal sighting. Maybe this next visit I’ll get lucky. Right?! Was such a shame. I was racing around and then crashing in the most luxurious accommodation in the country, too tired to enjoy it properly… oh wait, actually I did sit in that hot tub for an hour drinking sherry out of the crystal bottle, haha.